Editors' note: This is the second of a three-part series on issues related to cell phone radiation. Revisit Tuesday's story on the inconclusive state of research on cell phone radiation, look for Monday's story on what consumers can do to reduce their radiation exposure, or click here for a roundup of related coverage. Steve Filippone, a 65-year-old New Jersey resident who sells indoor air filter equipment, is concerned about what his cell phone could do to his body. That's why he recently downloaded an app from a company called Tawkon that estimates the amount of cell phone radiation that he is likely being exposed to when he is talking on his BlackBerry. The app, which is now available for BlackBerry devices and Android smartphones, uses an algorithm that measures a cell phone user's specific absorption rate, or SAR. (See also: CNET's Quick Guide: Cell phone radiation levels.) SAR, in short, is the rate at which your whole body absorbs energy from a radio-frequency magnetic field. It's measured in watts per kilogram or W/kg. And it's typically averaged either over the whole body or over a small sample volume, such as 1 gram of tissue. The Tawkon app alerts users with a vibration when the SAR has reached a certain threshold. Users can then decide to move the device away from their bodies, or they may move to a different part of their home or office while talking on the phone to get better reception in order to reduce the potential radiation exposure. Is Filippone just being neurotic? Every cell phone model sold in the U.S. must adhere to standards set by the Federal Communications Commission and Food and Drug Administration--an SAR that is less than 1.6 watts per kilogram taken over a volume containing a mass of 1 gram of tissue, even under the worst conditions, to be considered safe. So, in theory, even when users of the Tawkon application are getting alerts that the SAR level is reaching its highest limit, that threshold is only exposing people to what is still considered safe by the FCC and the FDA. But it would be a mistake to read too much into that SAR figure. FCC officials say the SAR levels are only intended to ensure that a cell phone doesn't exceed the FCC's maximum permissible exposure levels even when operating in conditions that result in the device's highest possible radio-frequency (RF) energy absorption for a user. The agency is quick to point out that people should not use these levels as a way to compare specific devices, since they don't represent radiation absorption levels under normal use cases. "SAR was never meant to be used by consumers to compare phones," said Rashmi Doshi, chief of the FCC's cell phone lab. "The only reason we test for it is to make sure that phones do not exceed certain limits. It's more of a pass/fail measurement. And every phone sold in the U.S. has passed and is therefore safe." But consumers such as Filippone are still skeptical, especially since the results of recent scientific studies have been either inclusive or have warned ominously of cancer concerns. 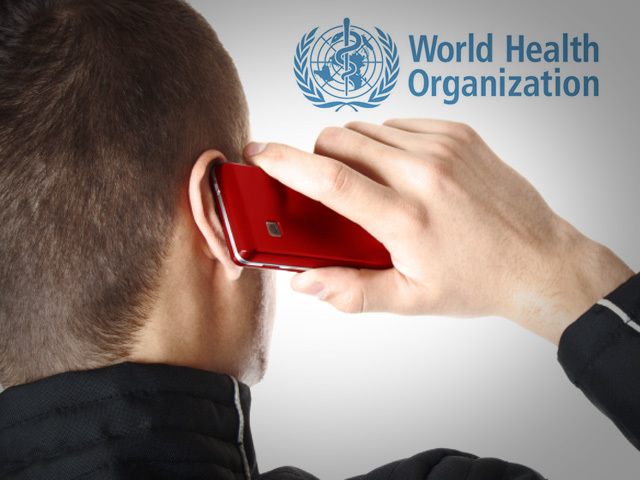 (See the first part of our cell phone radiation series as well as coverage of the World Health Organization's report on the risks.) So Filippone, who has just started a business installing in-home air filters, said he'd rather be safe than sorry. As a result, he minimizes cell phone exposure by using the Tawkon app and switching to his speaker phone when he gets an alert that he's likely absorbing more radiation. "They (the government) said for years that cigarettes were fine and don't cause cancer," he said. "And now look. I'm not convinced that they are right about cell phones either." The World Health Organization's recent classification of cell phones as "possibly carcinogenic" has likely fueled his fears. Of course, the WHO also puts coffee in the same class of "possibly carcinogenic" substances, along with lead and exhaust from gasoline engines. While no one is accusing U.S. regulators or the cell phone industry of lying to the American public about the safety of cell phones, there is reason to believe that the current standards may not be the best means of determining the safety of cell phones nor of helping concerned consumers reduce their exposure. For one, the studies on which these limits are based were conducted in the 1980s and the standard itself hasn't been updated since 1996. Also, the amount of radiation a phone emits and that's therefore absorbed by a person is highly variable and dependent on many factors, ranging from how close the device is to someone's body to the strength of the cell phone's signal. The further from the body the device's antenna is, the less radiation is being absorbed. And the stronger the signal strength from a cell phone tower, the less radiation that users are likely absorbing. Finally, there are studies that suggest biological changes can occur at much lower levels than the FCC and FDA say are safe. "The SAR rating itself is not meaningful," said Henry Lai, a researcher and professor at the University of Washington, who has conducted studies on the biological effects of cell phone radiation. "What we really need to know is at what level we begin to see biological effects. And there are several published studies suggesting it's at much lower levels than what the FDA or FCC says is safe." "It is surprising to me that the FDA and FCC have not changed their acceptable limits," he added. "They need to look at the literature." Lai recently co-authored an article for Canadian science journal Environmental Reviews with medical/science journalist and author B. Blake Levitt. It included more than 100 citations, 80 percent of which showed biological effects at lower levels of SAR. Most of these studies looked at biological changes in mice or rats at very low levels of radiation exposure. Some of the effects that were reported at low radiation levels include changes in the immune system; decrease of reproductive function; a change in the ability for DNA to self-repair, and increases in the permeability of the blood-brain barrier, which is the physiological mechanism that protects the brain from toxic substances, bacteria, and viruses. Out of the 56 papers examined by Lai in his survey of various studies, he reported in his paper that 37 provided the SAR of exposure. The average SAR at which biological effects occurred was 0.022W/kg, which, he notes, is well below the current standard of 1.6W/kg set by the FCC and the FDA. "Ten years ago, there were only about a dozen studies reporting such low-intensity effects," he writes in the report. "Currently, there are more than 60. This body of work cannot be ignored." Lai acknowledges in his paper that the studies he reviewed all involved animals, which means it's still unknown if the same effects appear in humans. Also, some biological effects are temporary and can be reversed. He also admits that it's unknown whether the exposure and changes could result in adverse health effects on humans. Still, he said, there is cause for concern. "Radiation is not completely harmless," he said in an interview with CNET. "It's not without biological effects even at low levels. So it's important to take a precautionary approach." Maybe so, but FDA scientist Abiy Desta argues that the current SAR standards are an adequate way to determine cell phone safety. "Specific absorption rate is a measure of how much energy is absorbed by a unit mass over a set period of time," Desta said in an e-mail. "Since heating is the only confirmed mechanism by which radio-frequency energy interacts with [a] biological system, by knowing how much energy is absorbed in a system it is possible to calculate the resulting temperature change." The FCC's Doshi said that the agency relies on the FDA to determine which levels of SAR are safe for consumers from a health standpoint. "We are not medical experts at the FCC," he said. "We monitor the literature, but we rely on the expertise of the FDA and other government agencies to determine health criteria. Our job is to test to ensure the devices meet those standards." While the FCC maintains that cell phones are safe, Doshi agreed that it is important for the FCC and other agencies to monitor changes in the science to ensure the limits they've set are useful. "Of course we can't take a blasé attitude," he said. "We're always open to examining what's happening. And we need to monitor effects, especially with newer technologies." Still, Lai maintains the current U.S. guidelines for radio-frequency exposure are not up to date. He pointed out that the research the FDA uses to determine the safety of cell phones is based on animal behavioral studies conducted in the 1980s. And the guidelines, which were established by the Institute of Electrical and Electronics Engineers (IEEE), a nongovernmental agency, have not been revised since 1996. In the first study on which current SAR standards are based, conducted in 1980, rats were trained to press a bar for a food reward when they heard a high-pitched sound. After the rats were trained to respond to the stimuli, they were then irradiated at 1,280MHz or 5,620MHz radio frequencies for short intervals, of less than 60 minutes, until their learned behavior was disrupted and their temperature increased by 1 degree centigrade. Because effects of radio-frequency radiation are believed to be the result of heating tissue, the researchers looked for changes in the rats' body temperature in addition to behavior changes. A similar experiment was conducted by a different set of researchers four years later, using monkeys. After the monkeys learned a similar auditory triggered response, they were exposed to full body radiation at 225MHz, 1,300MHz, and 5,800MHz radio frequencies over different periods of time until their behavior changed and their body temperature increased by 18 degrees centigrade. In each study, researchers concluded that the animals' behavior was disrupted at an SAR of about 4.0 W/kg with only 30 to 60 minutes of exposure. Today's SAR standard for cell phones of 1.6W/kg is based on results from these tests. In 1985, the American National Standards Institute (ANSI) and the IEEE, used these results to set guidelines for low-power radiation exposure. The agencies revised these guidelines in 1992. And in 1996, the FDA and the FCC adopted the 1992 guidelines set by ANSI/IEEE. These guidelines suggested an acceptable SAR standard of 8W/kg in controlled environments, which the FCC defined as locations where "persons are exposed as a consequence of their employment and in which those persons who are exposed have been made fully aware of the potential for exposure and can exercise control over their exposure." In uncontrolled environments, including locations where "the general public may be exposed" without being fully aware of the exposure or being in control of that exposure, ANSI/IEEE divided the 8W/kg by five to further limit exposure and came up with the figure 1.6W/kg. The FDA and FCC then adopted those recommendations in 1996, and the agency has used the 1.6W/kg figure ever since as the standard for the SAR for all cell phones sold in the U.S.
"The FDA takes a weight-of-scientific-evidence approach in evaluating the safety of radio-frequency exposure and does take into account studies that have shown biological effects at nonthermal levels. FDA reviews the scientific literature, collaborates with federal and international health agencies, participates in voluntary standard organizations, and interacts with other scientific stakeholders in evaluating the safety of radio-frequency energy." But Olga Naidenko, a senior scientist with the Environmental Working Group, a nonprofit organization founded in 2002 that lobbies on Capitol Hill on health-related topics, said the studies used to determine the standard are flawed in other ways, too. For example, the studies account only for short-term exposure to radiation. They don't look at the decades of possible exposure children today will likely get. And the current standard that's been adopted measures cell phone radiation based on the model of a 200-pound man. This means that it doesn't take into account the physical differences of smaller people, such as children, who have much smaller skulls that absorb radiation much more readily. "No one disputes that 10 minutes or one hour of exposure to cell phone radiation will not have much effect on your health," Naidenko said. "What today's standard doesn't account for is the long-term effects. We need to look at lifetime exposure. We also know that children absorb more radiation than adults, and we need to consider this as well." Still, Naidenko believes consumers should look at the SAR rating on cell phones and should try to minimize their exposure. "We don't know where the right line is today between safe and unsafe when it comes to SAR," she said. "But looking for a phone with a low SAR is valuable because it at least gives people a starting point. That should be just one of several steps people take to limit exposure." Some local governments agree that concerned consumers should be better educated about the SAR levels of the phones they buy. In San Francisco, almost a year ago, the city passed an ordinance that required cell phone retailers to make the SAR levels public. It also required retailers to offer information about reducing exposure to cell phone radiation. The wireless industry's lobbying group, CTIA- The Wireless Association, promptly filed a lawsuit claiming that the law was unconstitutional because only the FCC and the FDA have oversight over radio-frequency emissions. The CTIA contended that the SAR provision was misleading to consumers and that it infringed on the First Amendment rights of retailers. As a result of the lawsuit, the San Francisco Board of Supervisors delayed putting the new law into effect several times. And after two closed-door meetings between the CTIA and City Attorney Dennis Herrera's office to discuss the issue, the city's board of supervisors indefinitely delayed implementation of the ordinance. For more on what San Francisco, Maine, and other state and local governments are doing to address the cell phone radiation question, check out Kent German's piece also published today. While even concerned consumers, such as Filippone, admit that they will continue to use cell phones, they still want to minimize exposure. "I can't go back to the days before I had a cell phone," Filippone said. "I have my own business now and people need to reach me. But I know there are things I can do to help limit how much I'm exposed to. And I'm going to do that." For tips on limiting cell phone radiation exposure and for more information about the Tawkon app that Fiippone uses, check out the next installment of this report, which will be published Monday.